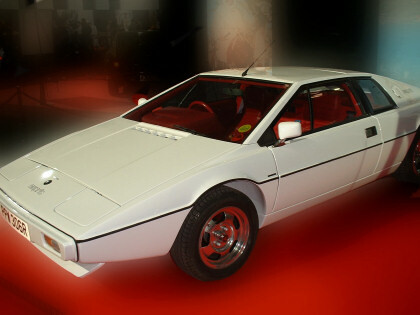 The Lotus Esprit was a mid-engine coupé designed in the early 1970s and launched at the Paris Motor Show in October 1975 to replace the Lotus Europa. With production starting in June 1976, the S1 had a 4-cylinder 2-litre engine that produced 160bhp. Its fibreglass body meant that it had exceptionally low weight, but was nonetheless considered underpowered. 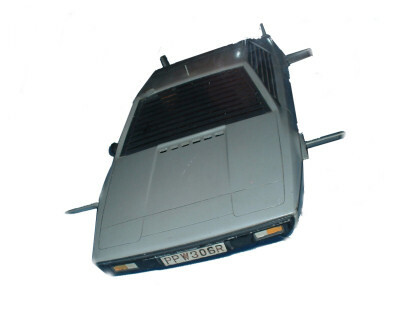 When Donovan McLauchlan at Lotus heard that pre-production work on The Spy Who Loved Me was underway at Pinewood, he took a prototype Esprit to the studios. Parking it so it was in the way of anyone driving in or out of the car park brought it to the attention of Cubby Broccoli; the stunt worked as he picked it to appear in the film, so taken was he by the Esprit’s looks. The Lotus used in the car chase can be seen at the Car of the Stars Museum in Cumbria. 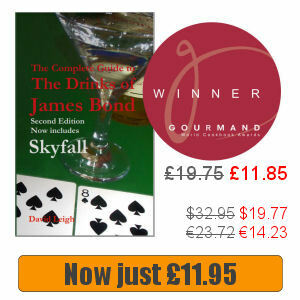 Despite relatively poor performance, sales rocketed thanks to the association with James Bond, creating a three-year waiting list for the car at one point. Critically the car was successful in the all-important US market and taking on board the various criticisms of the car, Lotus responded with the S2 in 1978. 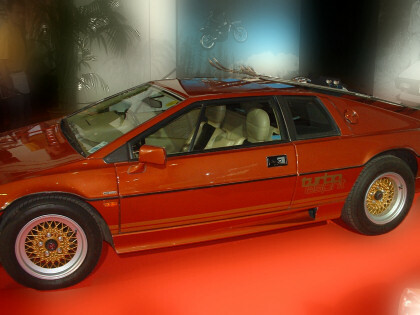 By the time of For Your Eyes Only (1981), Bond was equipped with a Lotus Esprit Turbo. It doesn’t last long and Bond is forced to drive a Citroen 2CV instead, but luckily Q-branch had another car to spare him later in the film. The turbo was first launched in 1980. Based on the S3 chassis, it had an up-rated 2.2 litre engine that produced 210 bhp giving it that extra power than was lacking in the S1. It also had a body redesign and strengthening of the chassis and rear suspension and aerodynamic body kit. I still love the looks of this car!! 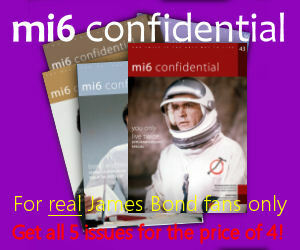 I like Bond and I like cars, so a story about both is a home run! THE lotus Esprit was my favorite car for a long time, but now I,ve changed for the DBS. The Esprit is utterly amazing! I’d wanted one ever since I was a wee lad and saw one on display outside a movie theatre that was showing The Spy Who Loved Me (didn’t actually see the movie for a few more years! ), and the Turbo Esprit was love at first sight! It’s a damn shame that the Esprit didn’t get more exposure in For Your Eyes Only…but anyway, in late 2010- after thirty years of lusting- I finally got an Esprit. It’s a 1986 Turbo, basically the same model as the ones in For Your Eyes Only but with an improved engine, and it’s the most fun car I’ve ever had! Truth be known though, it would do poorly as a spy-mobile…do you think it’s any coincidence that they don’t really show 6’2″ Roger Moore getting in and out of it? I’ve *almost* got those maneuvers down to the point of graceful…LOL!